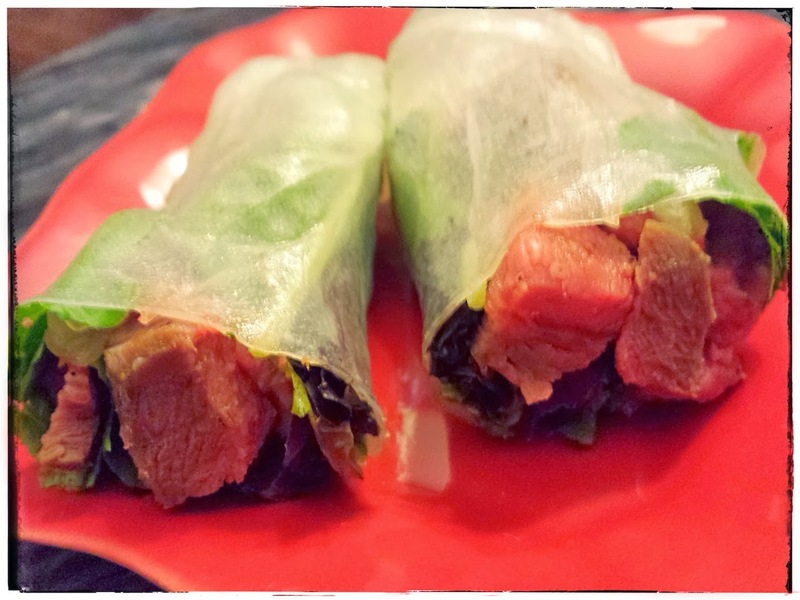 You can put anything into a fresh spring roll and make it delicious. 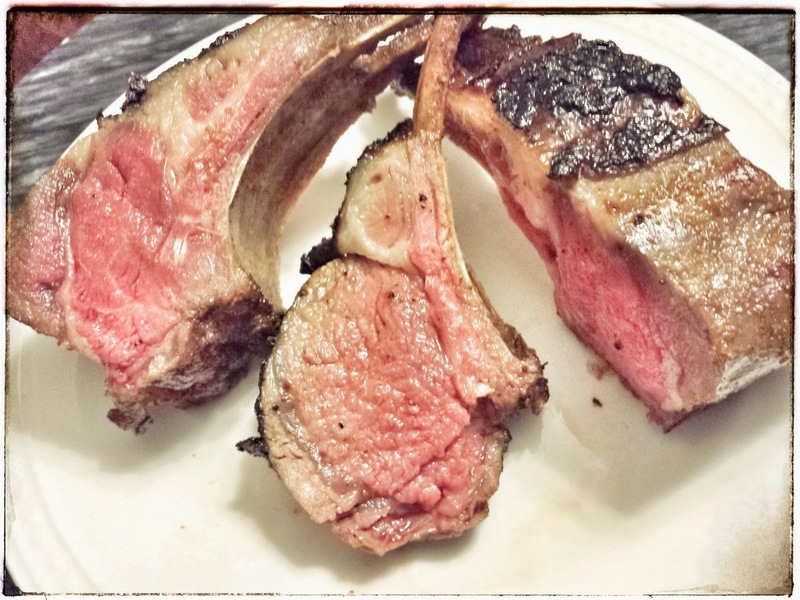 So why not try lamb chops? Lamb chops make a great after school snack for kids. And a spring roll is like a hand - held salad wrapped up in yummy rice paper. It's a great one - handed food item, which I love. 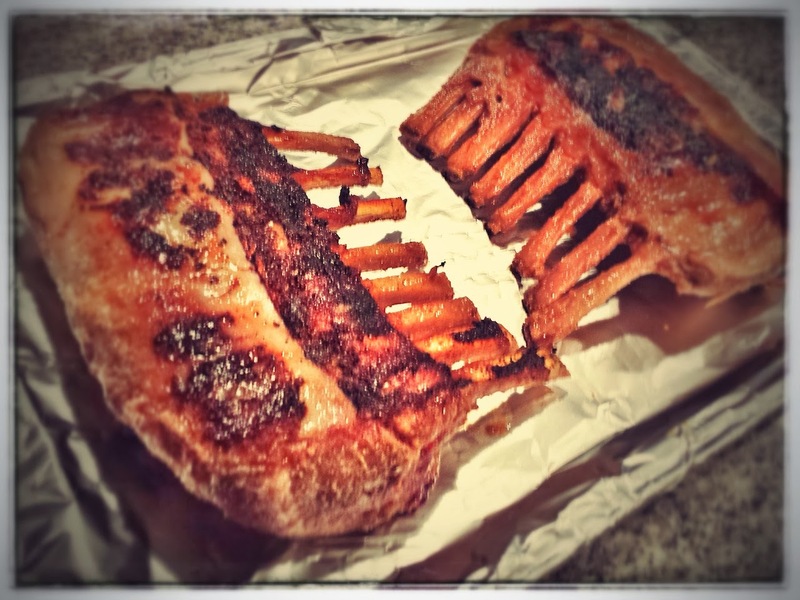 Just pan sear the rack of lamb, then finish it in the oven. Slice the lamb into little chops, then cut into small diced cuts. 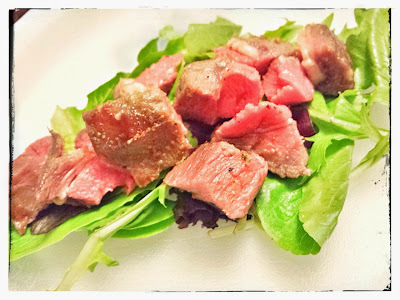 Place some mixed greens with mint on a sheet of softened rice paper, lay the diced lamb on top, then roll it up. The compact combination is simply delicious! Marinate your lamb. I use fish sauce, tamari, garlic powder, turbinado sugar, and black pepper. I use that on all my proteins, except seafood. Place inside a large zipper bag, toss to coat, and leave for 2 days. Remove from the fridge 30 minutes before cooking. Heat a grill pan. Spray with oil. Sear the lamb chops on both sides. Finish in the oven at 400 degrees for 20 minutes for medium rare. Let the lamb rest 10 minutes, then slice and dice. Take a sheet of rice paper, run it under warm water, then let it rest on a plate. Immediately top the rice paper with the greens, some mint, and the lamb. The paper will soften. Fold in the left & right sides, then roll. You can enjoy the spring rolls with some traditional Vietnamese dipping sauce. Happy New Year to you too Debbie! I have many ideas for more ways to enjoy lamb!